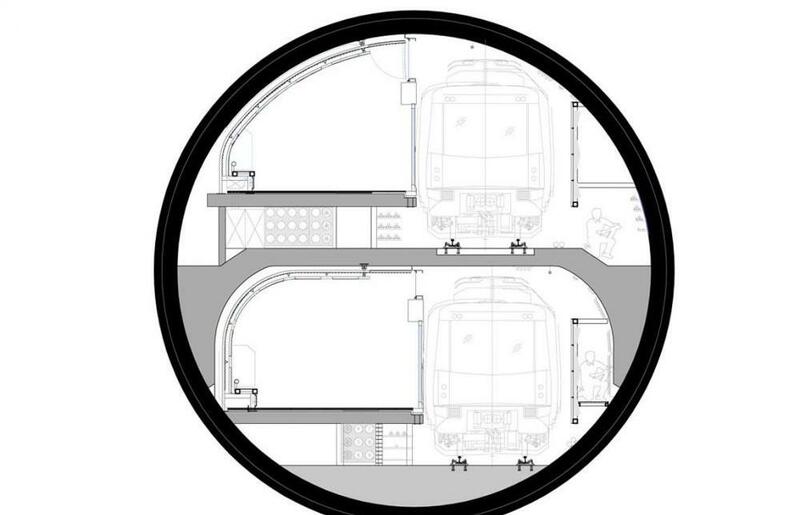 More »The aim of the project is the construction of 2 stations of the new Line 9 of the Barcelona Metro, La Salut and Llefià, located in key points of the city. La Salut and Llefià stations are part of the metro line built by a tunnel boring machine, where the metro travels under the ground at depths of up to 60 meters. La Salut station goes down 34 meters, while Llefià station goes 54 meters deep. The stations center on two essential aspects of this sort of equipment: the first is reducing claustrophobia effect and the second is counteracting vertigo effect in the voids which give access to the platforms, sometimes up to 30 meters deep. The strategy used to minimize these sensations is horizontal fragmentation of space. Claustrophobia is resolved by using back-lit panels on opposite walls so that the space looks breathable. 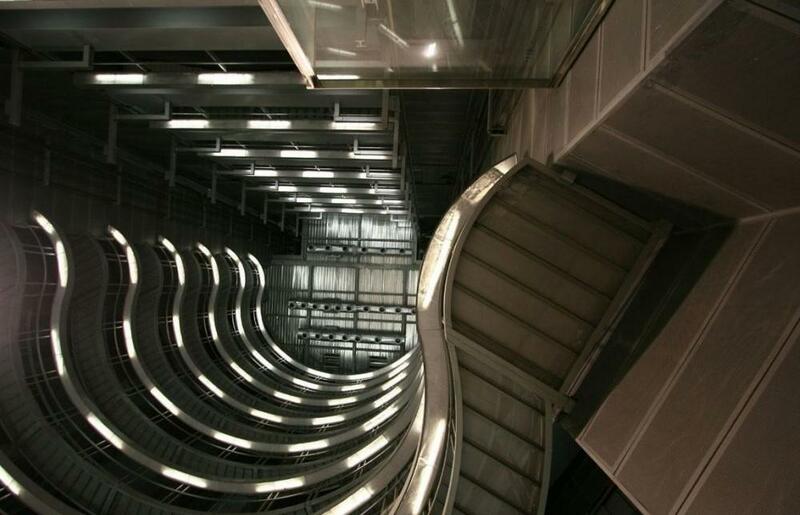 Vertigo sensation is tamed by a sequence of illuminated gangways acting like balconies at a theatre, fragmenting the view of the void. 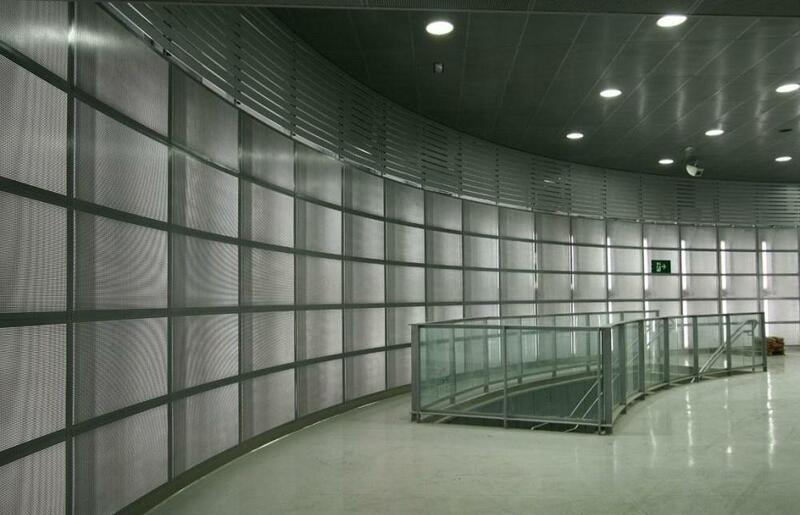 The floor of the gangways is a perforated panel of galvanized steel which creates different light qualities. Each station has an anti vandalism metallic finish, formed of perforated panels which provide the interior with a unitary image. The relation to its surroundings is established at the entrance hall at street level. The hall of La Salut station receives natural light through a great skylight, an inheritance of the entrance route for materials during its construction. 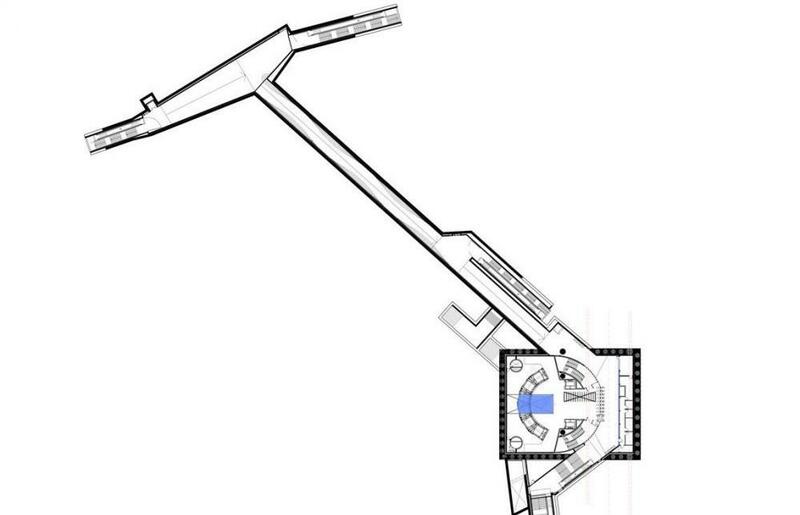 The entrances to the station connect through hallways to a great artificially illuminated atrium, which then opens to the space illuminated by the skylight. One of the hallways, great in length, uses the inclination of its walls as a mechanism to reduce the monotony of the walkthrough. Each is lined with inlaid galvanized panels. 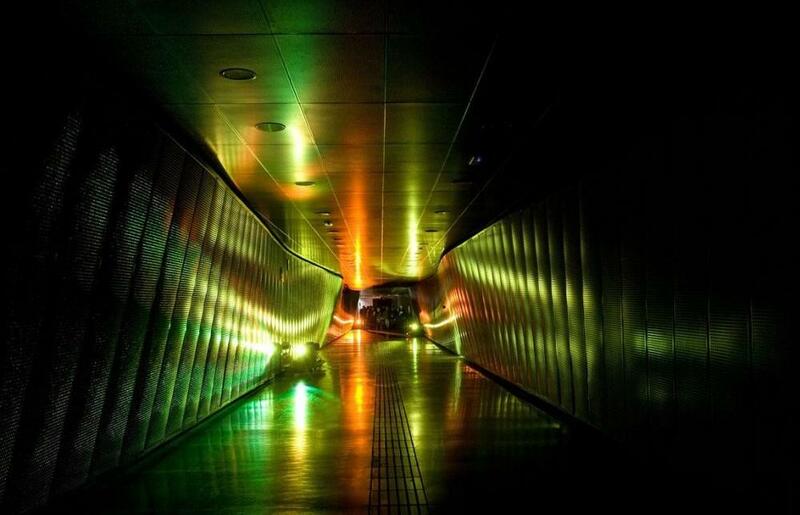 The station of Llefià is found more than 50 meters under ground level, with its entrance at the crossroad created by the Ronda de Sant Antoni and America Avenue in Badalona. The main entrance hall is at street level, part of a building base of public equipment which includes commercial spaces and municipal offices. The entrance is unconventional, characterized by a great pergola in scale with the surrounding city which intends to act as a central element and reference point for the neighborhood. 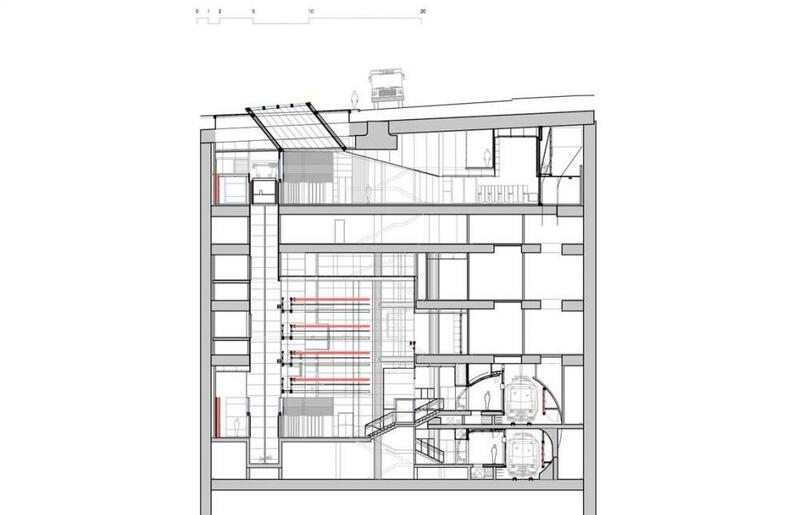 The impact, language and exterior image is in relation to the proportions of the building underneath. 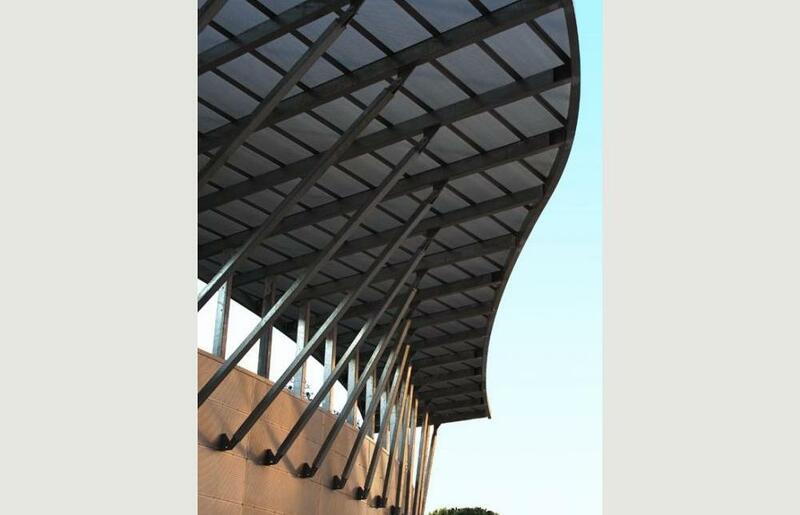 This great pergola, built in galvanized steel and with growing vegetation is developed along the façade with a geometry which adapts and stresses the main entrance to the station. 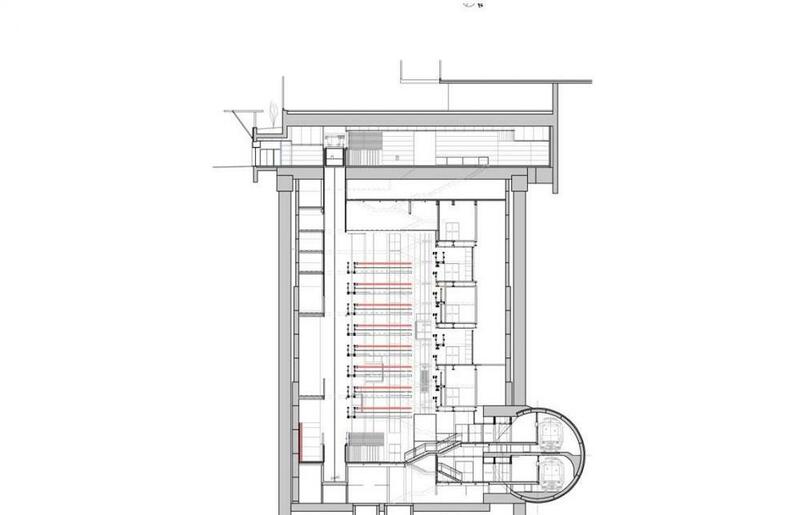 The circular void is emphasized by a higher ceiling, limited by glass walls where the lifts and the validating machines are located. 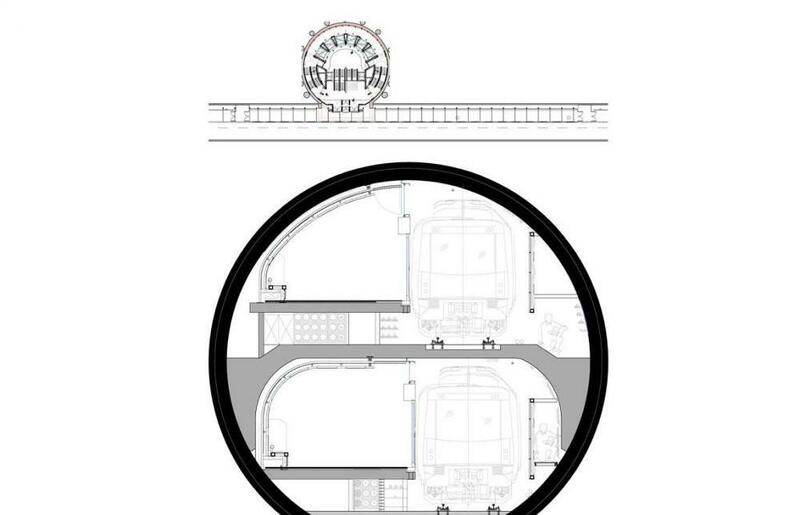 The curve geometries, the need for durability of public spaces and the great quantity of square meters of lining needed for covering require imaginative solutions which maximize the use of standard elements to adapt to the different points, reduce costs and accomplish a unitary language for all spaces in the stations. 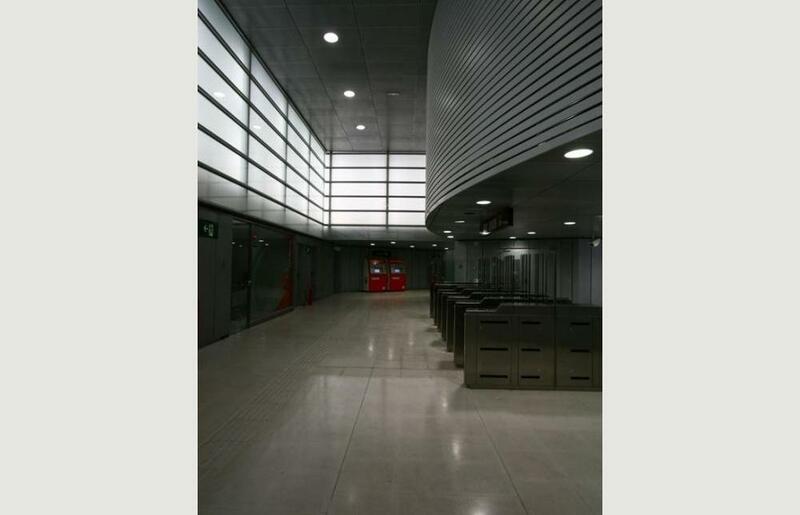 Having to resolve the problem of anti vandalism protection is an occasion to use a finish which will contribute to a very recognizable and unitary image in every public space in the stations. The material which has been used is an inlaid metallic sheet with circles 1cm in diameter separated 1cm. Each piece is 60 cm wide, with folded flanges at the joints. The sheets are laid on furring strips. The reduced width allows adapting perfectly to the curved surfaces, as is the case in the staircase and entrance hall at Llefià. 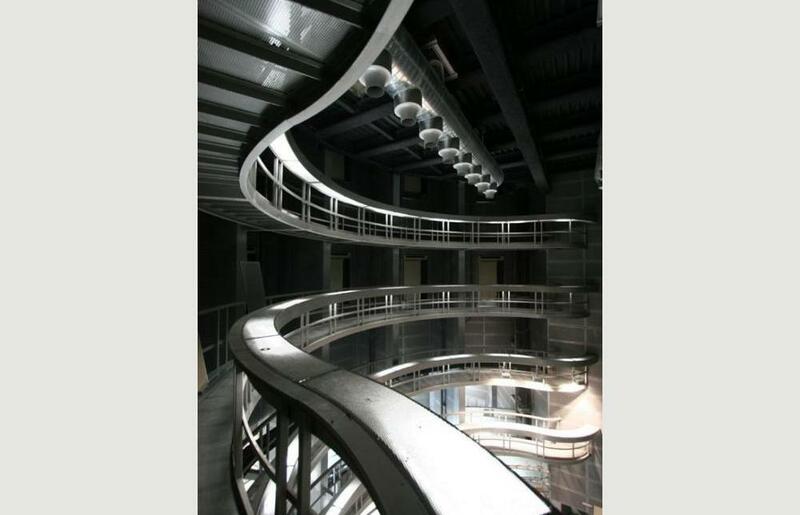 This assembly also allows adapting to surfaces with a double curve, such as the long corridor in La Salut. 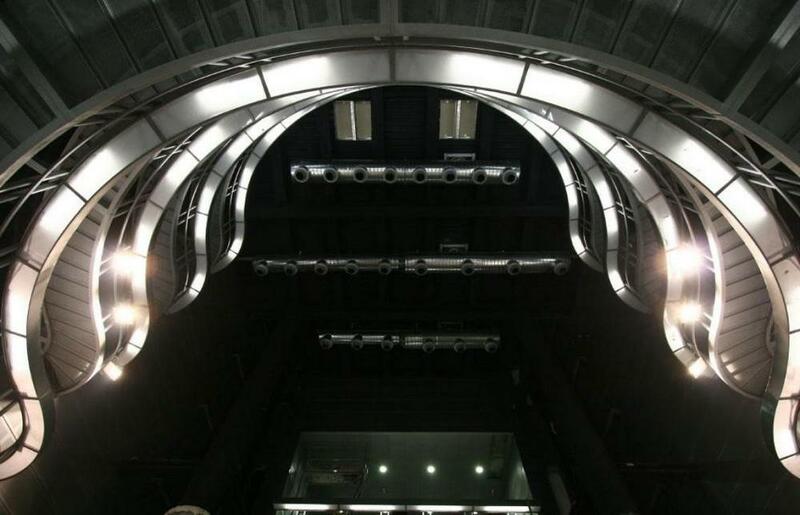 The curved geometry of the vault of the platforms required designing a special solution for the covering sheets’ assembly, as the flanges in the rest of surfaces could not be used. A perforated metal sheet laid over furring strips is used, with round holes, the same shape as the inlaid sheets, following straight lines. The same piece can be placed on curved vertical surfaces like in the hall at Llefià. Perforated sheets also allow for the introduction of back lights which create an effect of transparency and depth. The sheets can be easily unscrewed for maintenance of the lighting system. 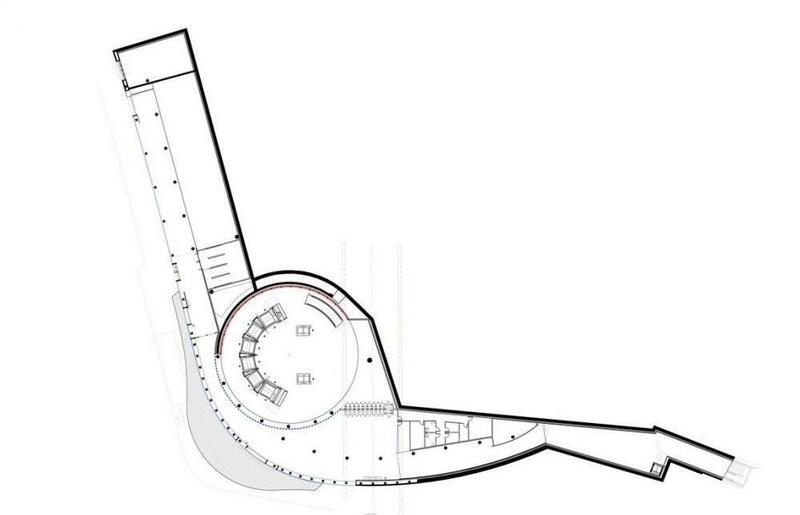 In both voids, curved corridors at each level are constructed using a pavement of perforated metal sheets. To obtain the effect of illuminated strips, lighting trays are set at the height of the rails, enabling an easier reposition and renewal of the lights. 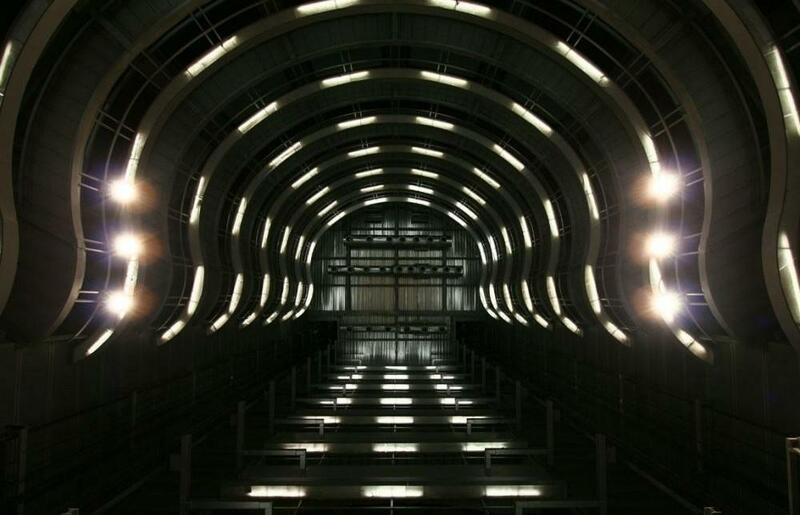 All the panels illuminate downwards. The pavement is formed of strips 1.20m wide. These strips are always parallel or perpendicular to the train tracks, even in the superior halls. The joints between them are made of plastic. The pieces which form these large strips are of a smaller scale, 40x40cm, for an easy maintenance and repositioning.